Children, ages 1 through 9, can bring their own baskets and hunt for eggs filled with treats. Egg hunts will be held at 11 a.m. and 1 p.m. for children ages 3-9. They will be subdivided into age groups and have separate hunts at both times. 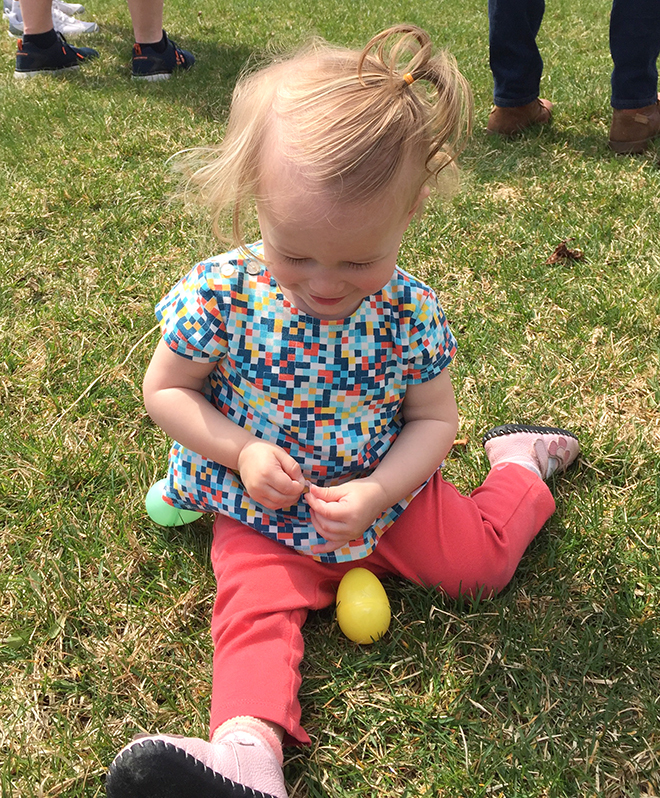 Egg hunts will be at 11:30 a.m. and 1:30 p.m. for children ages 1-2. Everyone is encouraged to arrive at least 20 minutes before start times as the egg hunts will begin promptly. Children ages 3-9 will be divided into age groups and have separate hunts at both times. In between the egg hunts, both museums will offer special activities from 10 a.m. to 2 p.m. Burpee Museum will have a variety of unusual eggs on display and bunnies to pet. Kids big and little can exercise their creative muscles at Discovery Center creating springtime crafts and adorable art projects. Combined ticket admission that allows access to both museums for all activities on April 20 is $12 child; $10 per adult. Member children of either Burpee or Discovery Center are $3; Member adults and children age 1 and younger are free. Admission is possible from either entrance. Cost does not include admission to Discovery Center’s Thomas the Train: Explore the Rails! special exhibition. Burpee and Discovery Center hours are 10 a.m. to 5 p.m. on Saturday. Both museums will be closed Sunday, April 21 in observance of the Easter Holiday. Burpee Museum is located at 737 N. Main St.; Discovery Center is located inside the Riverfront Museum Park at 711 N. Main St.. Free parking is available at both locations. For more information, call the Burpee at 815-965-3433 or Discovery Center at 815-963-6769. Discovery Center Museum, ranked the #4 children’s museum in the nation, is a hands-on science museum with over 250 interactive exhibits for visitors of all ages. Its mission is to create opportunities for joyful learning and discovery through hands-on experiences in the sciences and arts. Established in 1941, the Burpee Museum of Natural History is the home of Jane, a rare juvenile Tyrannosaurus rex, and one of the preeminent mid-sized natural history museums in the nation. Its mission is to inspire all people to engage in lifetime of learning about our natural world.